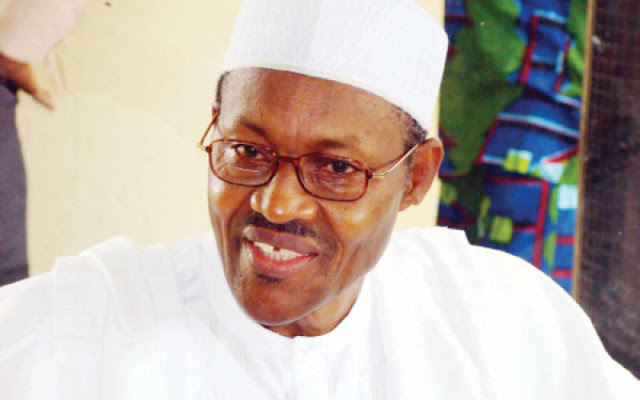 This column was written on Tuesday before Buhari's public declaration of his assets. Governance is both about symbolism and substance. So far, President Buhari appears to be losing the symbolic battles of governance. My hope is that, after all is said and done, he will win the substantive battle, which is the battle that really and truly matters, and which can compensate for his loss of the symbolic battle. That means to create "northern unity," Buhari needs to be sensitive to religious representation, and to create national inclusion (meaning to tag the south along) he needs to be sensitive to ethnic and regional representation. Buhari's appointments so far only show sensitivity to northern unity, but not to national inclusion. A typical southern Christian has no emotional connection to a northern Christian; he sees a northern Christian as basically a northerner with whom he shares little in common. That's why even northern Christians get killed in the south during retaliatory killings of “northern Muslims.” I covered several such retaliatory killings as a journalist in Nigeria. An average northern Muslim, on the other, places more emphasis on religious identity than on ethnic identity. That's why a Yoruba Muslim like the late Abdulkareen Yahya could become governor of the old Sokoto State (the heart of the Caliphate) even when voters knew his parents were from Ogbomoso. That's why an Igbo Muslim man (with a Kano mother) almost became governor of Kano State in 1992. That’s why a man whose father was a Zarma from Niger Republic became Kwara North’s senator for years, but an indigenous Christian can’t even get elected as a local government chairman in the area. The reverse is also true for northern Christians. Religion glues the disparate ethnicities that populate the north. That’s why a Hausa-Fulani Christian by the name of Rev. Chris Abashiya from Katsina was once the president of the Southern Kaduna People’s Union, which is made up of Christian ethnic minorities from southern Kaduna. His Christianity gave him a pass. Many people have objected to the reductionism in regarding the north as one monolithic collectivity. But that objection fails to take three crucial points into account. One, the north has been ruled as one administrative entity from colonial times until 1967. Second, of Nigeria’s former regions, only the north still cherishes the notion of "one north, one people, one destiny." 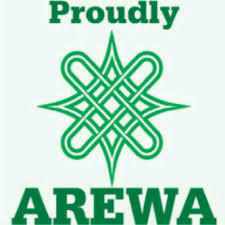 That’s why we are the only region with an organization called the Arewa Consultative Forum that bills itself the umbrella group for all northerners. I am not aware of a group that purports to represent the entire south. We are the only region with a regional symbol and common regional institutions. We have the Northern Governor’s Forum, Northern Senator’s Forum, Northern Journalists’ Forum, etc. Even when we are abroad, we form northern regional associations, such as Zumunta in the United States. We make no distinction between northwest, northeast, and northcentral which, by the way, are arbitrary demarcations that have neither constitutional recognition nor make any geo-cultural sense. Third, the elite in the north like for people in other parts of the country to see us—Muslims, Christians, majority and minority ethnic groups from the region, etc.—as one, undifferentiated people. Agitations for sub-northern identities, such as the Middle Belt movement, are often dismissed as external manipulations or misguided efforts to “divide the north” or to “weaken northern unity.” Over time, the rest of the country has come to see the north as one united, indistinguishable people. Now, in order to justify the Arewacentricity of Buhari’s appointments, some of the same northerners who preach regional unity are calling attention to our ethnic and religious differences. Symbolism isn't the same thing as substance. Appointing people to governmental positions does nothing to improve anybody's lot—except, perhaps, the people so appointed and their immediate families. Jonathan's disastrous 5-year presidency couldn’t even bring basic infrastructure like boreholes to his hometown of Otueke, yet his people derive vicarious satisfaction from the fact of his being Nigeria's former president. Human beings are animated by a multiplicity of impulses, including rational and emotional impulses, both of which are legitimate. When we turn on our rational impulses, we may ask: What would appointing an Igbo man as SGF, for instance, do to Igbo people? The answer is “nothing.” But we are more than rational beings: we are also emotional beings. That's why people are invested in symbolism. Appointing someone from the southeast or the deep south is merely a symbolic gesture, but it inspires a sense of inclusion in the minds of many people from that region; it serves as a symbolic conduit through which people vicariously connect with government. Neither the southeast nor the deep south has anybody in the top echelon of the executive branch. It's a no-brainer that any leader who is desirous of notional national inclusion would have chosen an SGF from either the southeast or the deep south. Now, you may ask: won't one of the two regions complain if the SGF were chosen from one and not the other since the SGF can't simultaneously come from both regions? Well, that's a better problem to have than to exclude both of them. It's certainly perceptually better than choosing another northerner as SGF. We are talking here of symbolism and perception, not substance. Before you dismiss symbolism as mere frippery, remember that it's consequential enough that people go to war on the basis of it. Most wars and violent internal national dissensions are actuated by the mismanagement of symbolism, especially symbolic representation. Femi Adesina's pledge that Buhari will "balance" subsequent appointments both admits that Buhari's current appointments are unbalanced (a fact many “Buharists” are reluctant to come to terms with) and misses the fact that Buhari has no option but to be balanced, because it's a constitutional requirement. What some of us his critics are calling attention to is his inability to rise superior to the easy temptation of regionalism in his volitional appointments. If he won't be different from Jonathan why did he run on the mantra of "change"? But Buhari has another chance. He should stop disowning the lofty promises of his party, declare his assets, wage a sincere war against corruption, contain endemic insecurity, and make Nigeria work. Nigerians will forget about the primordial identities of his appointees. I have just been informed that former Governor Abdulkareem Yahya is still alive and lives in Gusau, Zamfara State.